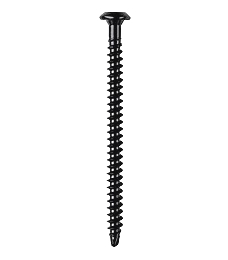 PRODUCT: SFS Dekfast 1203605, #14-10 X 5 inch Roofing Screws. #3 Phillips Drive, 10 TPI, Drill Point. 1000/Carton. Price/Carton. #14 ID x 1 Inch OD (ID fits tightly to #14 fastener), 20 Gauge Galvanized Steel with Bonded EPDM Rubber Washer. 3000/Box. Price/Box. #14 ID x 5/8 Inch OD 316 Stainless Steel Sealing Washer. 20 Gauge 316 Stainless Steel with Bonded EPDM Rubber Seal. Tightly fits & seals 1/4 inch and #14 threaded fasteners. 100/Bag. Price/Bag. #14 ID x 7/8 in. OD (ID fits #14 or 1/4 in. fasteners) 20 Gauge Hot-Dip Galvanized Steel with 0.065 Thick Bonded EPDM Rubber Washer. 500/Bag. Price/Bag.